Alongside cleaning, lubrication is a key aspect in prolonging the life of your electric shaver and ensuring optimal performance. Just like your car’s engine needs oil for lubricating the moving parts and reducing the wear, so does your electric razor. In order to provide a close shave, the blades, foils and the metal combs of an electric razor are machined with very low tolerances and these parts actually come into contact with each other. During use, this friction causes heat and wear. To reduce these effects to a minimum, regular lubrication of the moving parts is vital. Here’s everything you need to know about how and when to do it. It reduces the heat generated by the friction between the blades and foils, improving the comfort during your shave. This will reduce the risk of razor burn, irritation, and blemishes. It prolongs the life of the foils and blades, so you won’t have to replace them as often. It improves the closeness of the shave. As you constantly use your shaver, the wear of the blades and foils will gradually affect their performance. In some extreme cases the blades will actually eat through the foils, so you’ll definitely want to replace them before that happens as the risk of serious injuries is real. With a properly lubricated shaver, this process is slowed down and you’ll be able to get close and comfortable shaves for a longer time before the parts need to be replaced. Another bonus side effect is the reduced generated heat, which in turn allows you to use more strokes and even apply a bit more pressure to get a smooth and close shave. It puts less stress on the motor. A lubricant allows the cutting parts to glide with minimal resistance, meaning the motor will work less hard to keep them moving and most of the power will be used for actually cutting the hairs, with minimal loss in the form of heat. Now that we’ve seen why lubrication is important, let’s see how to actually do it and what the different options are. The first option is to simply use a multi-purpose light oil. 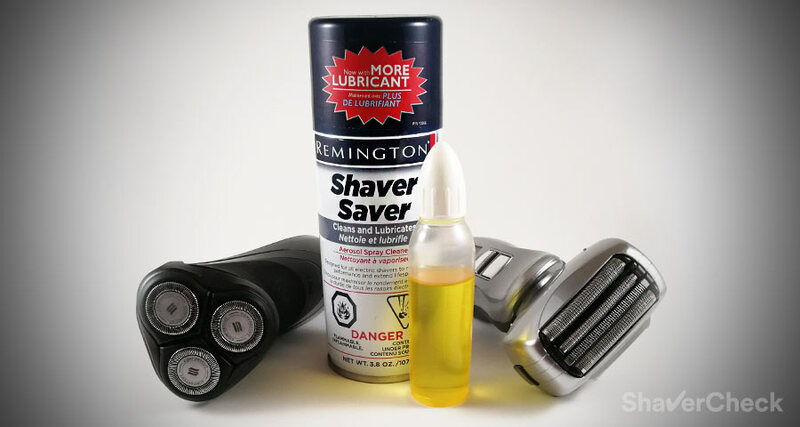 Hair clipper oil and sewing machine oil work great for lubricating electric shavers. Some manufacturers (like Braun and Panasonic) sometimes include a small bottle of lubricant in the package, but that’s not always the case. An excellent and inexpensive lubricant that works great with electric shavers is the clipper oil from Wahl. I personally use some light sewing machine oil for all my shavers as it’s very effective, cheap and widely available. Applying the oil is extremely simple and straightforward. For foil shavers, just put a single drop on each foil and also on the trimmer as it can get even hotter than the foils during use. Again, a little bit goes a long way and a single drop on each cutting element will suffice. After applying turn the shaver on for a few seconds to allow the oil to evenly spread across the foils. If needed, gently pat the foils with a paper tissue to absorb any excess oil. Remember, a little bit goes a very long way. For rotary razors, you don’t necessarily have to take the shaving unit apart; place a few drops on each shaving head (on the slits and holes), then let it run for a few seconds and you’re all set. That’s pretty much it. If you use a cleaning station with your electric razor, then there’s no need for additional lubrication as the solutions used for cleaning also act as a lubricant. Spray lubricants are a very easy and practical way of cleaning and lubricating a shaver. They also degrease the blades from skin oils and break down mineral deposits (from hard water). Before applying the spray I recommend using a brush to remove the bulk of hairs and dirt. If you use your razor with shaving cream or gel, then definitely give it a thorough cleaning beforehand — hot tap water and a bit of liquid soap should do it (always make sure to follow the manufacturer’s instructions when cleaning your razor). Note: the shaver should be completely dry before applying a lubricating spray. Generously spray the blades and foils while holding the can 2 to 3 inches away. You can then put the shaving head back together and let the shaver run for a few seconds to distribute the lubricant evenly. If you have a rotary razor, then you should disassemble the shaving head and spray the blades, as well as the inner part of the combs. Make sure to put them back together exactly the same as they are matching pairs and failing to do so will affect the performance of your razor. 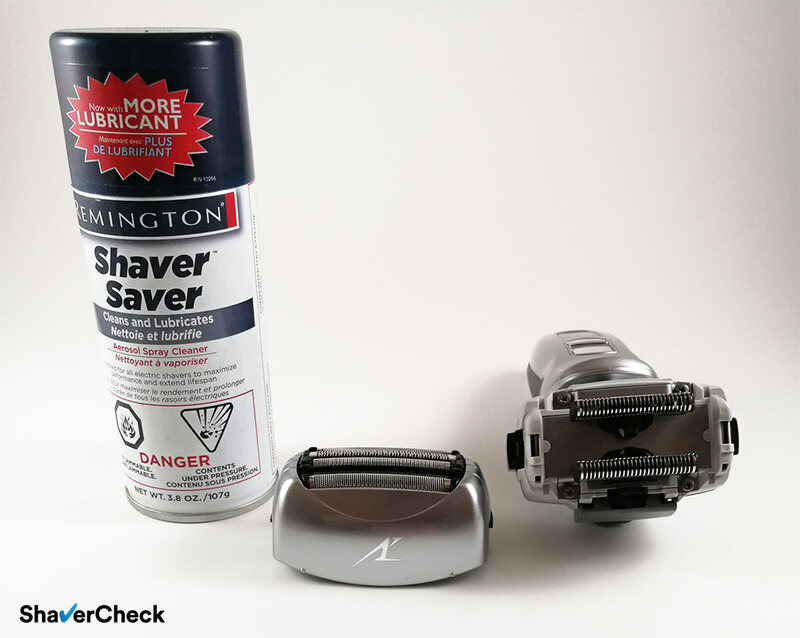 There are quite a few options of good spray lubricants out there; the Remington Shaver Saver is one of the more popular ones and comes in a 3.8 oz can. The Shaver Saver spray is reasonably priced, widely available and works great as a cleaner and lubricant. Spray lubricants can be used as stand-alone products or in conjunction with the first lubricating method described above. They’re not 100% necessary, but I find them very effective, easy to apply and they’re also fairly inexpensive. Cleaning & lubricating sprays make a noticeable difference to the performance of my shavers and I highly recommend getting one, especially if you clean your electric razor with soap and water. They’re particularly effective when used on an older shaver that doesn’t seem to cut as well as it used to. For a comprehensive guide on the various spray cleaners and how to use them properly make sure to check out this post. How often should you oil your shaver? Once or twice a week if you don’t use liquid soap to clean your razor. A spray lubricant is probably more practical in this case as it also helps with cleaning the parts. Before or after every shave if you clean your razor with soap and water. This cleaning method will also strip off the blades and foils of any form of lubrication. I personally put a few drops of lubricant before shaving, but there’s no right or wrong way of doing it. Hopefully this article helped to clear some of the confusion regarding the proper lubrication of an electric shaver. And it really is THAT important, as it will save you money in the long run, improve the comfort and ensure optimal performance for your shaver. Can you advise whether it is ok to use WAHL (model 3313) hair clipper oil to lubricate my series 7 braun shaver? It’s a USA brand of oil. Definitely, in fact any light oil that doesn’t cause residue buildups will work just fine. The hair clipper oil from WHAL passes both requirements, so you can safely use it for your Series 7. Just make sure to also clean it thoroughly after the shave (I assume you don’t have or use the cleaning station since that takes care of the lubrication too). WD-40 is a penetrating oil and I don’t recommend it in this case. The other oils you mentioned have a very thick consistency and ideally you’ll want to use a light oil to lubricate the trimmer. Sewing machine oil is very cheap, comes in small containers and works great. My Braun Series 5 shaver comes with a C&C, but after wet shaving the directions say you have to wash it with soap and water. And the directions state that if you regularly wash it with soap and water you have to add 1 drop of light machine oil per week. So my question is, if I regularly wash it with soap and water will using the C&C once per week fulfill the need to add a drop of oil? I am aware of Braun’s recommendation and while the effectiveness of it also depends on how often you shave (and clean your shaver) per week, I personally don’t think it’s enough. As I said in the article, soap is very effective at removing lubricants from the cutting parts and I actually add a drop of light oil after every soap & water cleaning. The Braun branded oil they is way small. Is the WAHL 3310 CLIPPER OIL safe to use? Are both the Braun Wahl oils simular? You can safely use the Wahl clipper oil on your Series 3 and it’s also way cheaper than the Braun branded lubricant. Both are very light and suitable to be used on electric shavers. Do I apply oil on my WAHL Pro trimmer to the metal blades that the various plastic blades attach to ? Or somewhere else within the vibrating blade base? Is there a non toxic way to lubricate ones electric shaver ? I’ve never used isopropyl alcohol on an electric shaver, but I would advise against using it. While it does a good job at sanitizing the shaver, its lubricating properties are non-existent. It’s actually used quite often to dissolve oils. As mentioned in the article, a cheap and effective alternative is to use a few drops of light/fine machine oil. If you by a First-Aid / Antiseptic Alcohol it will generally be Isopropyl Alcohol, or one of a few types of SD Alcohol, so it’s fine to apply Isopropyl Alcohol to your face, and to your skin in general. It’s not safe to drink and shouldn’t be use on large areas of skin, so don’t, for example, soak your feet or bathe in it. But, it is normal to use it on small areas of the skin. SD Alcohol 23-A, SD Alcohol 40, and SD Alcohol 40-B are all specially denatured alcohols (Ethanol) which are acceptable (ATF/FDA) for use in various cosmetics. Isopropyl Alcohol is chemically similar (but not the same as) Ethanol. Isopropyl Alcohol and SD Alcohol are all manufactured with a denaturing agent added to make it poisonous (and undesirable) to drink. The Braun cleaning cartridge used with my shaver’s charge/clean station indicates it contains a lubricant with SD Alcohol 40-B (50/50 mix with water). When the cartridge is empty, I generally refill it with Isopropyl Alcohol (also a 50/50 mix with water) a few times before disposing of it and replacing it with a new one. For the shavers with a cleaning station, you usually initiate a cleaning cycle after you have already finished shaving (usually performing a charge at the same time). So, by the time you use it to shave next time, all the alcohol has evaporated and it’s completely dry. You really don’t usually get any alcohol on your face. 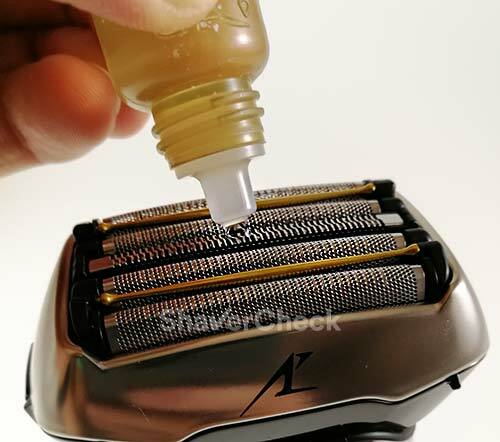 If you are manually cleaning your shaver with alcohol, it’s best to follow a similar procedure and clean it then let it dry completely and finally lubricate it before using your shaver again. But if it is still a little damp with alcohol when you use it, it’s still safe for your skin. Isopropyl is only toxic if you ingest quantities but it is great for disinfecting your shaver and killing bacteria that live on the dead skin cells. It does have some lubricant qualities but it is only effective before it evaporates. For a haircutting shaver the wetness offsets the benefit since hair sticks to the wet surfaces. On a razor/shaver avoid inhaling the fumes. Failing disinfect often results in minor skin infections that require prescription cremes and will reoccur once established. Barbers have kept their tools in disinfectant for decades for good reason. A light oil (hair clipper oil, sewing machine oil etc) works best for lubricating electric shavers and trimmers. Teflon lubricants are non-oily and I’m not sure they’re ideal in this situation. No! Would you put teflon on your face? Ovidiu, can you advise on Braun spray? If I wash the head with soap then I should just spray and let it dry or I should remove spray residues somehow? If you just apply a small amount after thoroughly cleaning the shaving head with soap and water, then you can just let it air dry. Braun Shaver Cleaner also acts as a lubricant, so leaving it on is a good idea. If you use it to remove stubborn buildups of hair clippings and dirt, you’ll want to spray the foils and the inner part of the cassette abundantly, let it act for 5-10 minutes, then wash the shaving head with warm water and let it air dry. This shouldn’t remove all the lubrication, but if you see it fit, you can spray it again or use a few drops of any light oil. Is it ok to use WD-40 on my rotary shaver? I don’t recommend using WD-40 or any other water displacers or penetrating lubricants as they’re far from being ideal here. As mentioned above, you can’t really go wrong with hair clipper oil or any other light lubricants like sewing machine oil. You can also choose a spray lubricant like the Braun Shaver Cleaner or the SP-4 from Remington. Very helpful article, and you, Ovidiu, are a very helpful person. I’m buying sewing machine oil today. Thank you. Thank you for the kind words, Matt. Glad to hear you found the article useful. Is it best to allow the shaver to dry first so the spray (shaver guard ) doesn’t mix with the water? Concerned that the lub will trap the water which may act as a cutting oil or increase chances of oxidation. Yes, it’s best to apply the spray when the cutting elements have dried. Thank you SOOOOO much I did exactly what you’d said on the site: ordered a shaving powder, oiled up the blade, keep the face dry. The only thing I forgot was to charge the shaver. But in the end I got an incredible shave! On par with what a normal (non-disposable) cartridge shaver would give and fairly close to a very good DE shave. Heck it beats a bad DE shave by a mile and it saves all the troubles. Thank you again, I’ll go back to electric shaving again much more often. To speak against the bad rep about electric shaving. You, sir, are the man! Leo, thank you so much for the kind words! I’m really glad that it helped you out and you’re enjoying electric shaving again. Are you familiar with a product called ‘Shave Secret’ – a pre-shave oil intended to replace (and perform better than) shaving creams/gels? Their website says it’s a proprietary blend of base oils (cold pressed seed & nut oils), essential oils, RX grade menthol and natural fragrance oil. I’m wondering if using this product while shaving would reduce or eliminate the need to lubricate as often? You are very welcome. Shave Secret is actually a shaving oil, not a pre-shave oil; pre-shave oils are formulated specifically to only be used with a shaving cream. I haven’t personally used Shave Secret or any other shaving oils with an electric razor, so I’m afraid I can’t tell you anything regarding how well it will perform. There’s always the possibility of the razor getting clogged which will be detrimental to your results and overall experience. You could give it a shot, just make sure to use the oil sparingly. 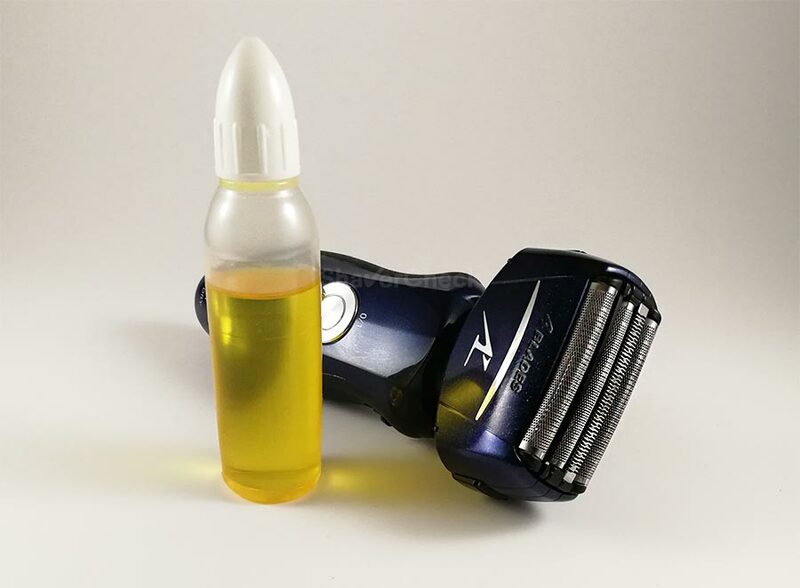 Regarding the lubrication, the blend of oils we have here is a lot thicker than the light oils normally used to lubricate shavers and clippers, so it won’t be ideal. I guess if it’s not excessively thick it can work, allowing you to lubricate your shaver less often. However, the main issue here is how well the shaver will perform when used with a shaving oil. Let us know how it goes if you decide to try it out. I clean my panasonic after every use in the cleaning station. How often should I apply oil? If you use the cleaning station after every shave there’s no need for additional lubrication. The cleaning fluid also acts a lubricant. I would have to say that yes, it is too thick for oiling a shaver. How is almond oil for lubricating my razor? what about Philips HQ200/50? if i use this 1 or 2 times a week, do i need to lube? Using the Philips JetClean solution twice a week should suffice. I would advice against using any silicon based sprays for lubricating shavers and trimmers. Thank you for your comment and for being a reader of this website. 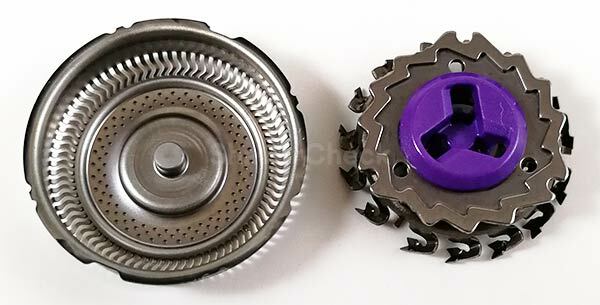 As mentioned in the article, you can use either a dedicated lubricating spray like Remington Shaver Saver or any light lubricant like clipper oil or sewing machine oil. Does Williams electric shave oil my Braun shaverhead? If so will it only be necessary to use it an not have to use light oil as well. The Williams Lectric Shave is a pre-shave lotion intended to prime the skin and hairs for a closer and more comfortable shave. It will minimize the friction between the foils and the skin. It may have some lubricating effect for the shaver. However, that effect will be minimal to non-existent as the lotion needs to evaporate completely before you start shaving. The lotion has an oily texture, but that certainly won’t be enough. I highly recommend lubricating your electric shaver as described in the article. I have a Braun shaver and want to make sure I understand the oiling process correctly. Put one drop of oil on top of the foil and then run the shaver a few seconds for the oil to distribute itself. Is that correct? No need to spread the oil out evenly with a finger across the foil? And no need to put oil directly onto the cutter block? Thank you. That is correct. You only need a tiny amount of light oil, you definitely don’t want your shaver to be drenched in lubricant. There’s no need to put the oil directly on the cutter block, just one drop on each foil (in case your shaver has more than one) will suffice as the oil will enter through the perforations. Let the shaver run for 5 to 10 seconds holding it upright and you’re all set. That clears it up just fine Ovidiu. Thank you for answering my question! My guess would be that some dirt and/or soap remained lodged between the blades. I assume the Soft Soap was liquid and not a bar soap. If you removed the buildup carefully it shouldn’t affect the performance of the shaver. Just make sure to always clean it thoroughly after every use. Yes I used liquid soap under hot water. The Braun 190s has just one cutter block and it is a large one. I’m guessing that maybe the large surface area of the blades might make it more prone to build up because I haven’t had this white powdery build up with other shavers. I think I will use the dry method of cleaning with the brush. It’s kind of a hassle to go through the process of water/soap, wait for it to dry, and then have to brush off build up. Daily use of the brush won’t dull the blades will it? Normally there shouldn’t be any buildups after a proper cleaning with liquid soap and water. I’m still inclined to think that it was an isolated, one time thing. Soap and water is definitely the more effective way to clean your shaver, so I always recommend it if the shaver can be cleaned in this manner. Brushing the cutting block carefully shouldn’t damage it, but it won’t be as effective for removing all the dirt, oils, debris, dead skin and fine hair clippings. Alternatively you could clean your shaver with the brush and do a more thorough cleaning after every three shaving sessions for example. Just make sure to gently brush the area between the individual blades and never across the block from one end to the other — I hope this makes sense — and do not brush the foil as it will get damaged easily. I will take your advice and stick with the soap and water method of cleaning it. And I’ll just use the brush to remove any build up remaining when it’s dry. Thank you very much for taking the time to explain things. You’ve been very helpful! You are very welcome, Scott. I’m glad I could help. i just got Panasonic Panasonic ES-LA63-S Arc4 and there is no instructions regarding using oil for lubrication only soap and water. should i use oil or not ? Definitely yes. In the user’s manual it is explicitly mentioned in the cleaning section. You can check it out here (page 2, top right corner). I have a Braun 340s-4 wet/dry foil shaver; I have been using the shaver for about 2 years in daily shaving, without changing the foil or cutter block as I clean it after every shave or maximum after every 2 shaves; I normally dry shave but from time to time I use the shaver with gel or foam and after cleaning it I put one or two drops of 3 in 1 sewing machine oil in the foil and cutter block or I have a spray that is special formulated for clippers, scissors and all electric cutting hair machines (including electric shavers foil or rotary) and then spray the cutting foil with it; the foil and cutter work just as good as new (obviously there’s been some wear using it for 2 years) as I shave every day and my bear is very think but the shaver shaves as good as new and so far it looks like the foil and cutter are in good condition to last few more months (I hope will last to the end of this 2018) then I may buy the replacement head assembly. it shows that cleaning and lubricating your shaver pay off as it did with other shavers I have had in the past; the periodic cleaning and lubrication really works making your foil, cutter block and the heads for the rotary shavers last very long time for a good time of very close and and smooth electric shaving. Thank you for taking the time to share your experience, Edinson. Two years and counting — that’s quite an achievement considering that you’ve been shaving daily. Like you said, this only goes to show that getting the basics right — cleaning and lubrication — can make a huge difference. Lately I started using again an aerosol cleaning spray (Remington Shaver Saver) in conjunction with my usual products for cleaning/oiling and the results are great. My Sister got me this Braun Electric Razor for my Birthday I finally used it today. I used first my Hair Clippers. this was the 1st time I ever used electric Razor. It has its own Cleaning solution but I was wondering if I should have used the Clipper Oil before I even used the damn thing for the first time. After use your supposed to put it in the cleaning station. The Electric Razor cut me a couple times. because it had a hard time getting some of that hair. I also have this Ancient Norelco. I used to shave with a 4 blade Razor but those replacement cartridges are so expensive. I got the Hair Clippers to cut down the length of my facial hair before I shave. That has worked well. My Barber recommended lubricating the blades on the Electric Shaver. Using it for the first time was pretty brutal. certain spots I had to use the regular disposable razor for. Thank you for your comment. Since this is your first electric shaver, it will take some time until you’ll be able to get a very satisfactory result. Your technique will get better and your skin needs some time to adjust to the new shaving method. If you use the cleaning station regularly there’s no need for additional lubrication. And yes, electric shavers usually work best on short facial hair, so using a trimmer beforehand is a very good idea if you have a longer beard. I’ve used it for dry and wet shave. How should I lubricate it? 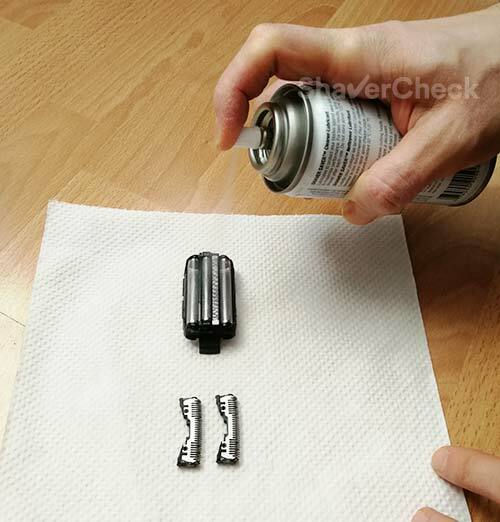 If you clean it with soap and water you could put a drop of clipper oil (or other light lubricant like sewing machine oil) on the foil and the two trimmers. An electric shaver spray cleaner can be used as well. Just make sure that the shaver is dry before applying any lubricant. Thanks a lot for all the information, it’s very helpful. Would you recommend the use of the Fellowes performance oil? Thank you for your comment. I would recommend against using the Fellowes oil on your electric razor, it’s basically a vegetable oil (most likely canola) that can gum up the blades. Wow, that was a fast response! Thank you very much. I’m bookmarking your site. It’s awesome. You are welcome, Jorge! I’m glad I could be of help. How about Williams Lectric Shave? It has oils in it so if I use that as a pre-shave lotion every time i shave then will that be enough to keep the blades oiled? In my opinion oiling your shaver would still be necessary. Williams Lectric Shave contains several alcohols that do have some lubricating properties, but it is applied to your face and it evaporates completely within 15 seconds or so. It’s simply not enough to effectively reduce the friction between the blades and the foils. I would strongly recommend you to use some light lubricating oil or a spray lubricant like the ones mentioned in the post. I just bought an Andis foil shaver, and I’m confused cuz nowhere in the instructions does it say oil between time and time. So are these shavers excluded from using oil or any type of lubricant on them? I even searched the net and no one has mentioned anything about this also. Thanks in advance! Just like any other foil shaver, this one also requires lubrication on a regular basis — despite the manufacturer not mentioning it. 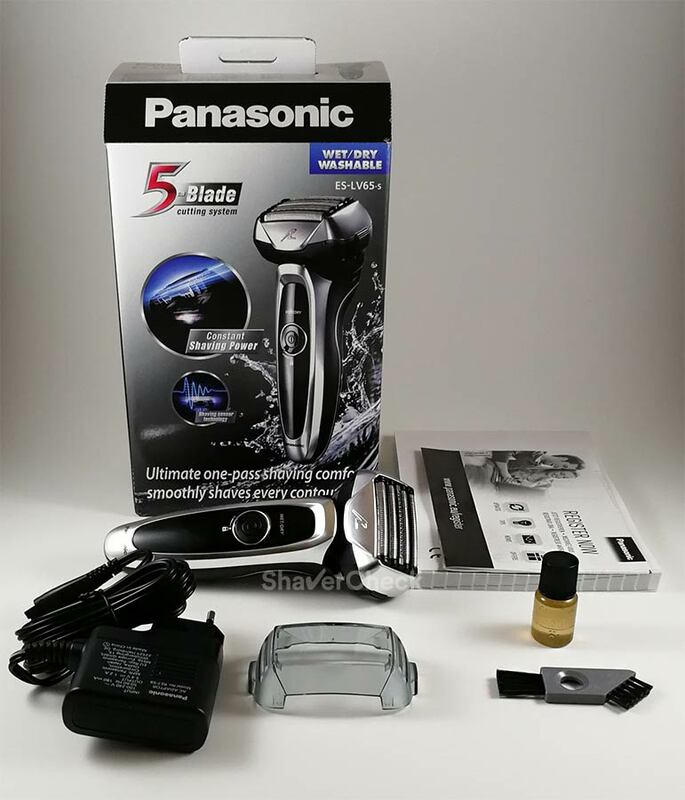 Hi, I have no experience with electric razor, I have just bought one Panasonic Arc 5, yes, I don’t want to get disappointed so I went for something that on every review has proven to be good. The model comes with the cleaning station and as per your advice then it’s better not to use any oil while the Panasonic cleaner lasts (maybe 2 months) because the cleaning formula also lubricates the blades. After that time what would be better in case I don’t want to buy more Panasonic cleaner ¿do you have any formula that could do the same function? There are many diys for making a substitute for Braun cleaner but as far as I understand it’s different from the Panasonic cleaner because one is alcohol based and the other is not. I have not find any diy to substitute Panasonic cleaner. Thank you, interesting reading. That is correct — Panasonic uses detergent, while Braun’s cleaning solution is alcohol-based. As a result, you can’t use a diy solution intended for Braun. Unfortunately Panasonic is not as popular as Braun, so there aren’t any generic substitutes for their cleaning packs. At least none that I’m aware of. I wouldn’t worry too much though; if you decide to stop using the station, Panasonic shavers are very easy to clean manually and lubrication literally takes seconds. Just make sure to use a light oil like the ones recommended in this post or a dedicated spray lubricant like Remington Shaver Saver. That is correct, one small drop on the outside of each foil (amounting to 5 drops). After that turn the shaver on for around 5 seconds so the oil can coat the blades evenly and use a paper towel to absorb any excess. That’s pretty much it, you can then proceed to shave as usual. I have been using this routine for years with excellent results. I note that you do not recommend silicon based lubricants for shavers. I bought recently a Panasonic shaver and purchased a well known shaver retailer’s own silicon based spray lubricant which I have been using daily for two and a half months. Have I done irrepairable harm to my shaver? I also note that you apply lubricant to your shaver immediately before shaving. When you clean your razor immediately after shaving does the liquid soap immediately strip the lubricating oil from the shaver meaning that the shaver only has the benefit of the lubrication for a few minutes each day? Does that matter? I do not recommend general purpose silicon-based lubricants; a spray lubricant for electric shavers will of course work and won’t cause any damage. Generally yes, cleaning the shaver with soap will also remove any form of lubrication. If you’re only using water, then there’s no need to apply a lubricant before every shave (once a week would be enough). Yes, clipper oil should work just fine. The shaver must be perfectly dry before lubricating it, so it’s better to let it air dry completely after you clean it. It doesn’t really matter when you oil it; I prefer to do it right before shaving as I know my shaver will be completely dry. A single drop of oil on each of the foils will be enough. Can tung oil be used to lubricate an electric shaver cutting head ? I would strongly recommend against using it to lubricate your shaver. I shave maybe twice a week if that. Lubricating twice a week is provably excessive don’t you think? I was figuring that you would shaving everyday for that schedule . So I figured about every 3 shaves or am I wrong here? Twice a week is a general recommendation, but there are of course cases where it would be excessive or not enough. One must lubricate an electric shaver when it lacks lubrication and cleaning a shaver with soap and water would remove any traces of oil. For example, I always clean my razors in this manner and if I were to shave daily than I would need to lubricate my shaver 7 times a week. So in your situation, if you only use a brush or do a quick rinse with water (no soap), then I guess once every 3 shaves would be enough. At least every once in a while a thorough cleaning would be highly recommended. Your ES2216 is fully waterproof, so you can easily clean it with a bit of liquid soap and warm tap water. As for oiling, you should do it at least after every cleaning that involves soap. please post a tutorial video, too. I bought Andis Clipper Oil and I have a Panasonic ES-RT37 shaver. Thank you. Thanks for this article, it helped a lot. After reading it, I did oil my braun shaver and man, I could feel the difference. It gave me a buttery smooth and close shave. I also have Wahl super taper and I used the oil that came along with it. However, I will try using a sewing machine oil now as it’s less expensive compared to shaver oils. I hope the result will be the same! You are very welcome, I’m glad you found the article useful. I’ve used sewing machine oil for years with very good results, so definitely give it a try. Realized after fact used too much oil so ran the shaver until it needed to be recharged. 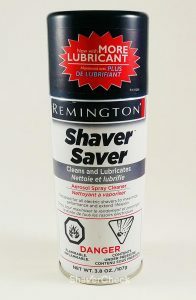 Can’t wait to get my Remington Shaver Saver spray from Walgreen’s. You are very welcome, Marc. Glad you found the information useful. Yes, when it comes to oiling a shaver a little bit goes a long way. I’ve tried various spray lubricants specifically designed for electric shavers and so far the one from Remington is still the best in my opinion. Just got my shaver, a Panasonic ES-LV65-S and noticed that there was no oil supplied in the box, nor does the manual mention anything about lubricating the foils. Should I just go ahead and lubricate the foils anyhow? It would be highly recommended to lubricate the foils and blades on a regular basis. It is a bit surprising that your ES-LV65-S didn’t include a small bottle of lubricant as well. My unit (bought from Europe) did come with one. You can also use sewing machine oil or clipper oil, both work really well. Also, could I know exactly which sewing machine oil which you use for your shaver? Will go out to hunt for one soon. Mine is just a generic brand I found at a local store here in Romania. Any will do as long as it’s a light oil (and all sewing machine oils are). Alternatively, clipper oil will work just as well. The one from Wahl is inexpensive and I’ve used it with very good results on both foil and rotary shavers. I have a Braun Series 7. Is it okay to use 3-in-one multi purpose oil for the foil & cutter cassette? While in theory it should work, I don’t think a multi-purpose oil is thin enough to be used on electric shavers. I would stick to the options mentioned in the post. I was wondering why nowhere in the manual for my Panasonic Lamdash/Arc4 ES8243 does it mention applying oil. I reached out to Panasonic USA to ask about why the US market Arc shavers don’t include or recommend oil and their response was that the US market Arc shavers are built to different specifications than the European and Asian market ones, even though they may seem like the same shavers, and that no oil is required for the US shavers. I’m not sure if I believe their response. What do you think? I would take their answer with a pinch of salt. To be honest, it doesn’t make any sense. I’ve bought dozens of Panasonic shavers from all over the world and the differences are only related to power plugs or included accessories. Also, there aren’t any Panasonic replacement foils and blades made specifically for the US market, they all have the same part number; I honestly can’t imagine how are they any different. The friction between two metal parts with no lubrication will always wear them out a lot faster. By the way, I bought my ES-LF51-A Arc 4 from the USA and after a couple of months of use, the foils would get extremely hot during my shave if I didn’t apply any oil or spray lubricant beforehand. So I would strongly recommend you to disregard their advice. Thank you Ovidiu. I think that’s sound advice and I agree, their response just doesn’t make sense.